If you work for a software company with worldwide operations and develop international products, it is crucial to adapt your offer to each of the countries included in product placement. 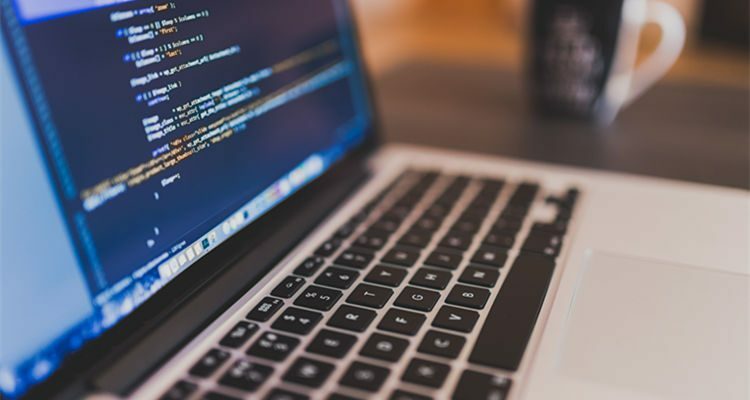 From simple textual corrections to complex software details, all parts of this process must be developed carefully and that’s what software localization is all about. Local habits and circumstances are the most important guides for all developers as Statista analysis reveals, since 2014 most apps per capita were downloaded in Malaysia and three other Asian countries. At the same time, global mobile app revenues will go from $69.7 billion in 2016 to $188.9 billion in 2020; in such versatile environment, you must act alike and produce contents applicable to any market. Here at EC Innovations, we conducted quite a few software localization projects and why not say – we learned on our own mistakes and decided to help you out a little and provide some advice about the most important features of the process that can easily be mistaken. Planning plays a key role in every undertaking – you must be well prepared, predict potential problems, set the translation materials and plan work schedules. As always, some unpredicted things might come up during software localization and you’ll need to leave some time and funds in order to solve it. Each member of your team is pivotal. Additionally, you must ask yourself and your team what it is that you want to localize – an entire product or just a few of its components. Are there any specific legal issues in those targeted markets? There are many questions to be asked and answers varying substantially. You can localize only a small portion of the product or all of it but in each case, you must be prepared. Once you’ve targeted markets and languages you need, you should create a unique glossary to be used throughout the whole process. Consistent vocabulary will provide you and your team with full control of software localization and it will leave no room for potential misunderstandings. Such language system will reduce mistakes, improve the quality of translation, and ensure consistent work. When preparing for localization, be precise and provide a full country specification as some languages are used in many countries but written differently, for instance British and American English. Very important feature of software localization is language support because it has to be able to handle inputs from international users and recognize symbols, characters or numbers. Unicode provides a solution in those regards, being an all-round player at the moment. UTF-8 is used by a vast majority of software developers as it can interpret almost all languages. However, in the case of dealing dominantly with Asian languages/characters, it is necessary to use UTF-16. Tools like this one standardize the encoding process between the browser and the server. In case some languages don’t support UTF at all, you can search for modules which can convert the default character set. English is a good language when it comes to space-saving: some words and phrases in many other languages are disproportionally bigger than their English counterparts. Of course, this does not make a problem in many other fields of life but it is very important during software localization – you have to be very cautious and leave enough space for potential text expansion within the user interface.During translation, strings can change size significantly and without the space needed for clear presentation these will overlap with other UI features. Some options are to place strings above controls or to align strings on the right side, allowing them to shrink or expand. However, there is never a perfect solution as UIs vary and present completely different features but almost all solutions require some additional space for text expansion. To localize software doesn’t only mean translating language but also adapting it to country’s culture and local metrics. That’s why you have to be careful when it comes to time, date, measurements, and time zones – all these details can cause enormous function problems. Be prepared that these might probably need translation and don’t use hard-coded strings or you will disable localization. The most appropriate solution is to use a classic ISO mode for date/time storage and then use a library in order to adapt this information for the targeted country. By this point in our article, we learned that languages differ – and so do sentence structures. Do not use hard-coded, concatenated strings because sentence translation will most likely demand changes in structure and word order. For that reason, you should try to make strings which consist of full sentences. This will do well for UI and translators will definitely thank you for taking care. No matter what stage of software localization you find yourself in, keep in mind that testing is essential. It will point out all flaws, technical problems, and inconsistencies; testing will also clear out the text, find grammar mistakes, and punctuation issues. Once you are done with software localization, test it again one more time! In every field of life and business first impressionsare what matter most. First steps are specially sensitive when it comes to software development, so much that Google’s statistics show that one quarter of all installed apps are not used anymore after the first try. Don’t let your projects fail simply because you didn’t consider all obstacles of software localization on time. Follow all of the most important steps we mentioned here but also pay attention to many other smaller ones in the process. In case you have additional inquiries or different experiences of your own, don’t hesitate to discuss it with us here in the comments. Thank you for any other wonderful article. The place else could anybody get that kind of information in such a perfect means of writing? I have a presentation subsequent week, and I’m on the look for such information. Nice post. I used to be checking continuously this blog and I’m impressed! Extremely helpful info particularly the last phase 🙂 I handle such info a lot. I used to be looking for this certain info for a very lengthy time. Thank you and good luck. fantastic points altogether, you simply received a new reader. What may you suggest about your post that you made a few days ago? Any certain? We stumbled over here by a different page and thought I might check things out. I like what I see so now i am following you. Look forward to looking into your web page repeatedly. What’s Taking place i’m new to this, I stumbled upon this I have found It absolutely helpful and it has helped me out loads. I’m hoping to give a contribution & help other users like its aided me. Good job. Do you have a spam problem on this blog; I also am a blogger, and I was wanting to know your situation; we have developed some nice practices and we are looking to swap strategies with other folks, why not shoot me an e-mail if interested. I seriously love your website.. Very nice colors & theme. Did you make this site yourself? Please reply back as I’m looking to create my very own blog and would love to learn where you got this from or just what the theme is called. Thanks!